For their third studio album, Germany's Neaera deliver a preciously dense slab of melodic death metal. 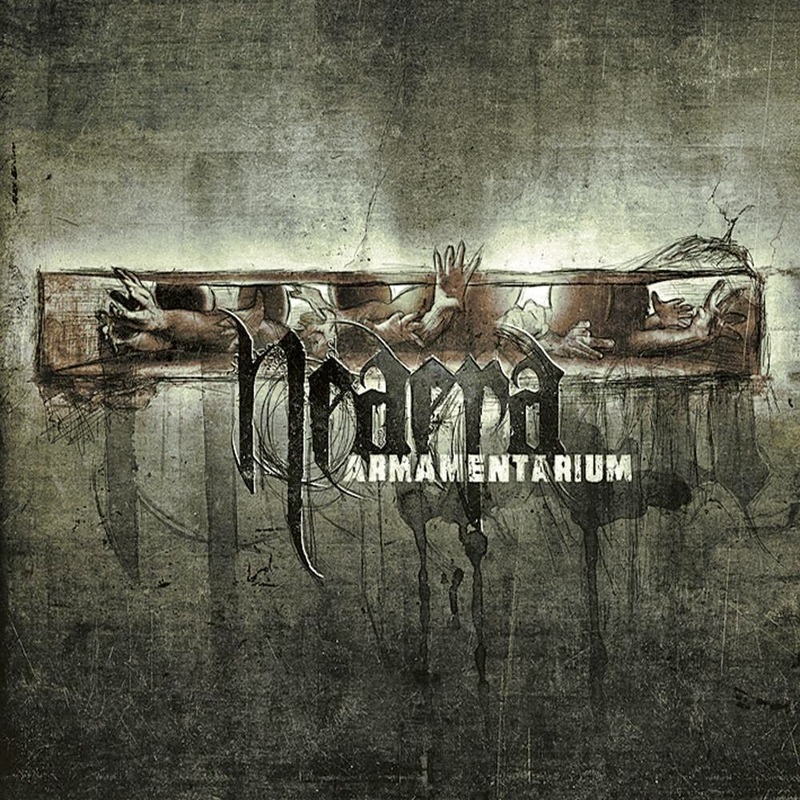 Armamentarium is massively heavy at the low end, with a thunderous roar of drums and bass providing a bomb-proof foundation. While Benjamin Hilleke's vocals screech in high-toned agony, the bass of Benjamin Donath and the drums of Sebastian Heldt build a rumbling wall of pure over-powered aggression, dominating the record into sweet submission. The guitar work from Tobias Buck and Stefan Keller is functional if rarely outstanding. The band's relatively limited sonic range, tremolo strumming and the rather muddy recording point to lingering death metal fundamentals, but there is sufficient attention paid to melody and in-song signature variations for the album to make good progress towards more sophistication. The two best tracks surrender to epic melodies delivered on the wings of thunder, embellished by sublime staccato guitar work. Title track Armamentarium combines the best of death and melodic metal in a manic-paced head-banging frenzy, the drumming pulverizing thick concrete buildings for fun. When the guitars finally take centre stage at around the 2:30 mark, they provide the sharp flame-thrower cover for the heavy armament to advance. Synergy is more melodic but just as frenzied, bottling up energy to unleash a galloping riff of irresistible intensity. Most of the other tracks on the album offer moments of excellence, but the band also establishes a pattern of being better at finding ideas rather than developing them, and sometimes the invention is better than the execution. Armamentarium displays plenty of well-toned muscles, metal full of intent that lifts weights as easily as it destroys them. Produced by Jacob Hansen, Alexander Dietz and Neaera. Recorded, Mixed and Mastered by Jacob Hansen.